Chocolate drizzled truffles are yummy to eat, and delicious as a seat! 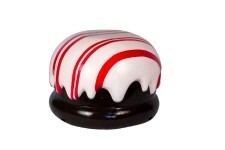 This durable polyresin decor piece is a scrumptious looking item that can be sat on or simply displayed. 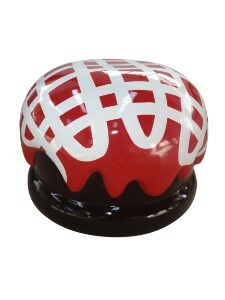 In a candy theme, or Christmas theme, this piece is a wonderful dual functioning decor item. Standing at 18" it is perfect for smaller settings or with a shorter table.